Internet surfing is a lot more different today than how it was 10 years ago. The advent of new technology in mobile phones launched the smartphones and tablet computers as alternatives for netbooks for light computing tasks and internet browsing. Since these devices have features and capabilities similar to the bulkier netbooks, people began to shift their interest to these types of devices because of its mobility. This then lead to the creation of a new demand for internet browsing. It became important for people to conveniently view and open websites in mobile devices. Since tablets and smartphones have relatively smaller screens compared to desktop and laptop computers, websites aren't always displayed normally. Sometimes, half of the website can't be seen unless the scroll is used. This gives a negative effect on websites that promote a brand or sells products online. It's always important to ensure that visitors of your website can easily navigate and browse through its pages. As a result, companies began to recognise the need for creating a mobile-optimised website. A website that displays correctly, and has a fast loading time in a mobile device is already a necessity. eTraffic Applications offers excellent mobile web design for businesses who want to ensure that their websites are optimised for mobile browsing. 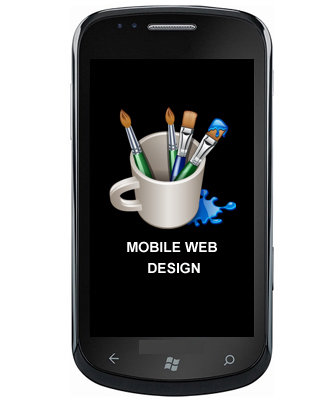 Our team of mobile web designers has unparalleled expertise in the field of developing mobile applications and websites. Clients can be sure that their websites will be converted to an optimised mobile site. We are a company that is adept both in developing applications for various mobile OS such as iOS and Android and creating mobile-friendly websites. According to the statistics of the previous and current year, more and more people are using their mobile devices to access the internet. This includes browsing various websites, sending e-mails, buying online and engaging to social networking activities. This study highlights the need for a smooth web browsing experience via mobile devices. Customers who will experience slow loading times and poor browsing experience can be lost in a snap of a finger. This is the demand that we, at eTraffic Applications, wish to address. We know the importance of taking care of your brand and customers. We want to make sure that your website visitors will experience a positive browsing experience using their smartphone or tablet computers. Our team at eTraffic Applications does not settle for mediocrity. We strive for excellence; hence you can be sure that you will only be getting the best product from us. We know our job and we do it very well. We believe that your business will greatly benefit from the services that we provide. The times are changing, and more and more people are relying heavily on their mobile devices to do light computing tasks and internet surfing. Open the door of endless possibilities for your business. Don't be left behind in the advancing field of mobile application and development. Contact us now and we'd gladly discuss our Mobile Web Design Services to you.